Serial Shipping Container Codes (SSCC) are used to identify and trace logistic units, such as crates, cases, pallets, and parcels, throughout the storage or transportation process. Indigo WMS enables you to experience the benefits of SSCC control throughout the entire life cycle of stock within the warehouse. 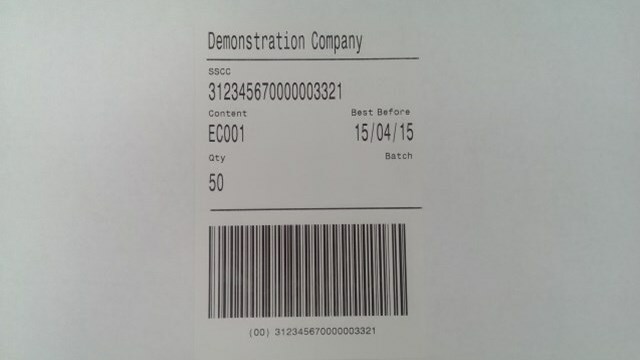 Outbound inventory can be identified with SSCC labels as originally received, applied during pick, or as part of the packing process. Our SSCC label software cleverly allows disparate systems to share the same core supply chain data. For example, when you send products to customers, you can reuse the data on existing labels, making your stock traceability significantly more efficient, secure and reliable. And of course, through linking your SSCC to additional information about your logistical units, such as advanced shipping notices, you can speed up the delivery and invoicing process, enabling both you and your clients to enjoy a more streamlined and efficient service overall.